Digital X ray is known as digital radiography. Digital X ray sensors are used instead of traditional photographic film. Digital radiography is one of the evolutionary advancement in radiography. Digital X ray devices produce low radiation exposure to patients when compared to conventional radiography devices. Digital X ray devices have special image processing techniques that enhance the overall display quality of the imaging. X ray imaging is indicated in various types of diseases such as cancer, respiratory diseases and musculoskeletal imaging in the case of accidents and fractures. Increased demand for quick and easy to use radiography devices and surge in prevalence of diseases, increased orthopaedic diseases expected to accelerate the demand for X-ray diagnosis. In addition, with the advent of technological advancements increased quality scans are expected to boost the market growth over the forecast period. 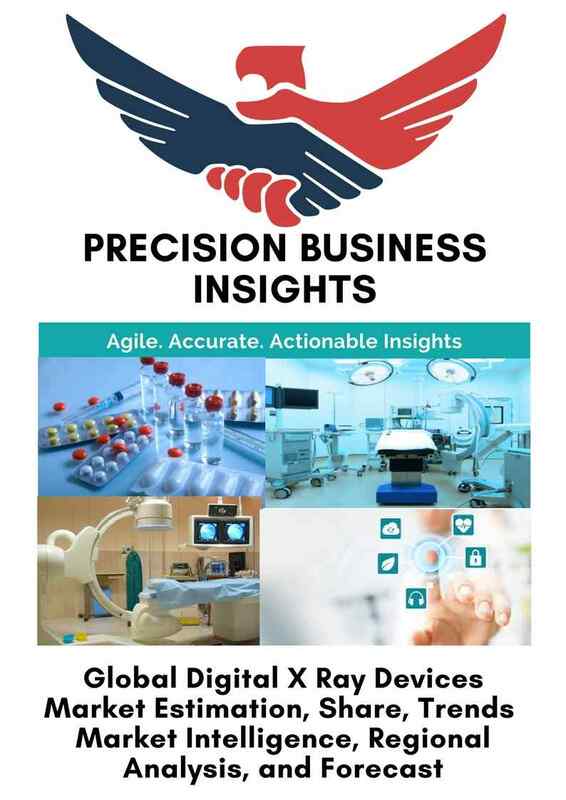 Furthermore, growing ageing population and rising investments and increase in healthcare expenditures are expected to bolster the global digital x ray devices market. However, stringent regulatory procedures and high cost of digital x-ray devices are expected to hamper growth of market over the forecast period. Global digital x ray devices market is expected to grow at notable rates owing to rising demand for easy to use portable and quick radiography devices. The market has many big multinational companies and local market players with high competition. Market players are adopting strategies such as mergers and acquisitions to strengthen the market position locally and globally in the digital x-devices market. For instance, in July 2015, Konica Minolta, Inc. has acquired Sawar Technologica Ltd., an X-ray system equipment manufacturer in Brazil, this acquisition enables strengthen Konica Minolta’s market position. Similarly, in September 2016, Rayence Co. Ltd. acquired Osko Digital X-Ray Solutions to strengthen their market position in digital radiography. Furthermore, companies are focused on developing the new devices with additional innovative features and low prices. Geographically, global digital x-ray devices market is segmented into following regions, viz. North America, Asia-Pacific, Latin America, Middle East & Africa, and Europe. North America expected to be a major market for digital x-ray devices due to well-established healthcare infrastructure and regulatory policies coupled with high demand for the quick and easily usable radiography devices. Europe digital x-ray market is expected to grow at notable rates owing to increase in geriatric population and increase in healthcare infrastructure. Asia-Pacific is expected to be fastest growing market owing to developing healthcare infrastructure and raising funding from the government to improve the hospital facilities and increase in the prevalence of the diseases that require radiography for diagnosis. Some of the players in global digital x-ray devices are Fujifilm Medical Systems (Fujifilm Holdings Corporation) (Japan), Carestream Health (U.S.), GE Healthcare (U.S.), Siemens Healthcare (Siemens AG) (Germany), Philips Healthcare (Koninklijke Philips N.V.) (Netherlands), Rayence Co. Ltd (South Korea), Konica Minolta, Inc. (Japan), Shimadzu Corporation (Japan), and Toshiba Medical Systems Corporation (Canon Inc.) (Japan). In July 2016, Shimadzu has launched newest version of MObileDaRt Evolution series called MX7, mobile digital radiographic system. In November 2016, Samsung Electronics Ltd (Samsung Group) got U.S. FDA clearance for its GM 85 Digital Radiography (DR) system for U.S. market. Toshiba Medical Systems Corporation (Canon Inc.) (Japan).